Have you ever mesmerized by Chanel rings? I wonder, how beautiful and fine they are. I just love them. Recently. 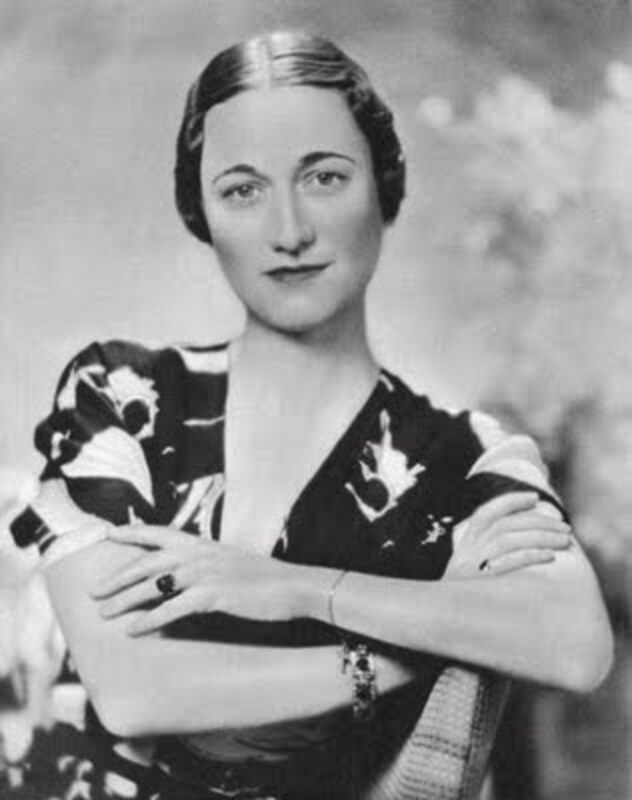 Chanel started creating their costume jewelry in the 1920s. Unfortunately, in 1971 Chanel died and designer Karl Lagerfeld took the charge of the company in 1983. He also started using “C” logo to his antique jewelry pieces. Now, let's come back to Chanel Rings. As we know, they are very expensive. 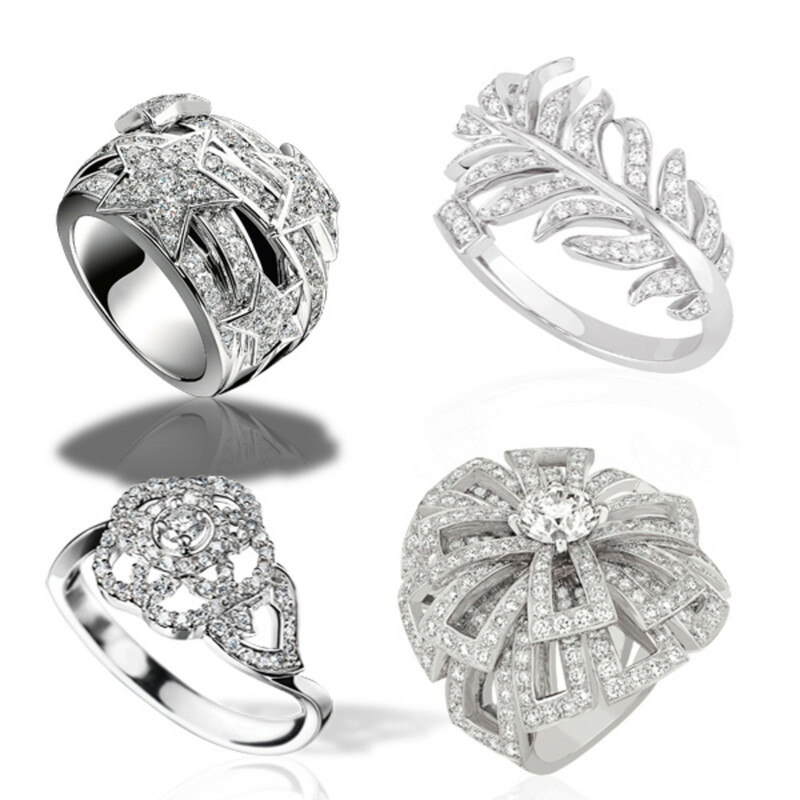 Chanel costume rings begin from 350 USD, but diamond rings have even more high-end price. They even come in the price range of 8,000 USD to 16,000 USD. Which is your favorite metal? You can easily find Chanel stores worldwide. Unfortunately, there is no official website of Chanel. So, you have to beware of fake Chanel rings. You can buy them from eBay, Amazon or many other wholesale websites. But, you have to make sure of fake Chanel rings because not every jewelry tagged as Chanel is a real piece. 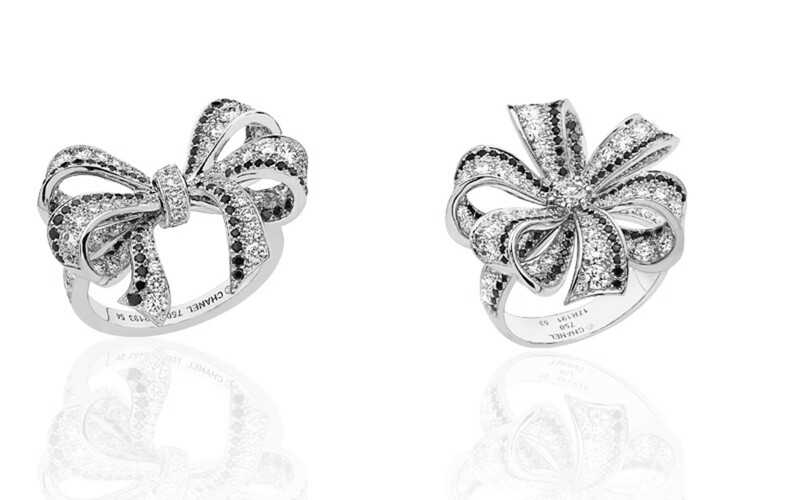 Overall, the Camelia collection of Chanel has 30 marvelous rings and it is quite difficult. I really like this 18K white gold and diamonds rose ring. It is available in two variants and both of them have their own uniqueness. This ring is available in only white gold. If you feel that large one is expensive for you, then go for the medium one. A comet collection of Chanel is packed with lots of stars. 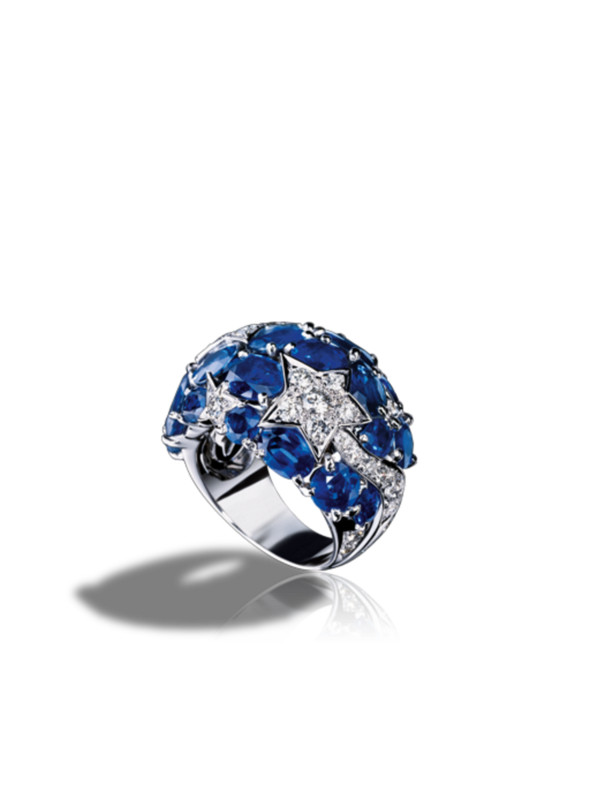 Have a look to this stunning comete ring with blue sapphires and diamonds. It will create sparkle if you combine it with blue dress in a night party. It is a perfect cocktail ring, specially designed for a starry night sky. 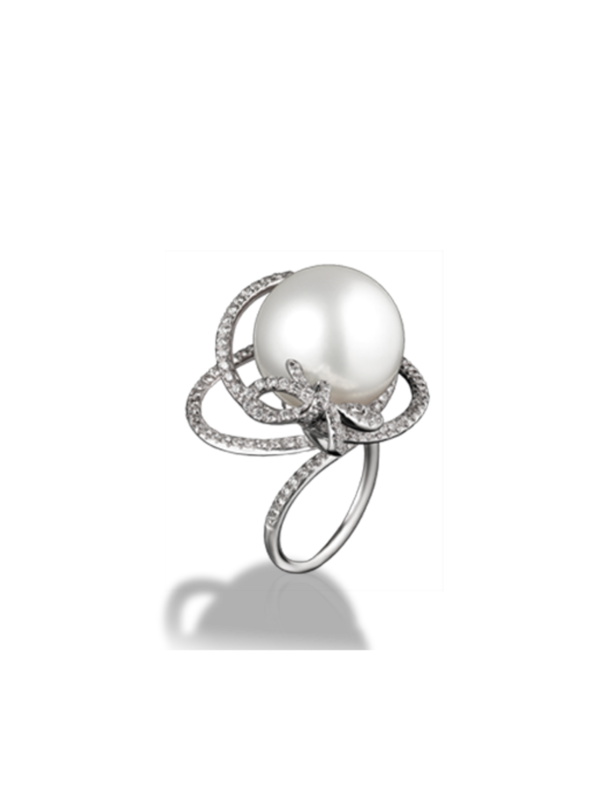 The prime attraction of this luxurious ring is its big cultured pearl. The pearl in this ring is complemented by small diamonds and crafted in 18K white gold. What a unique and lovely design!! Solitaire is a dream of every girl, but I like some exceptional designs. 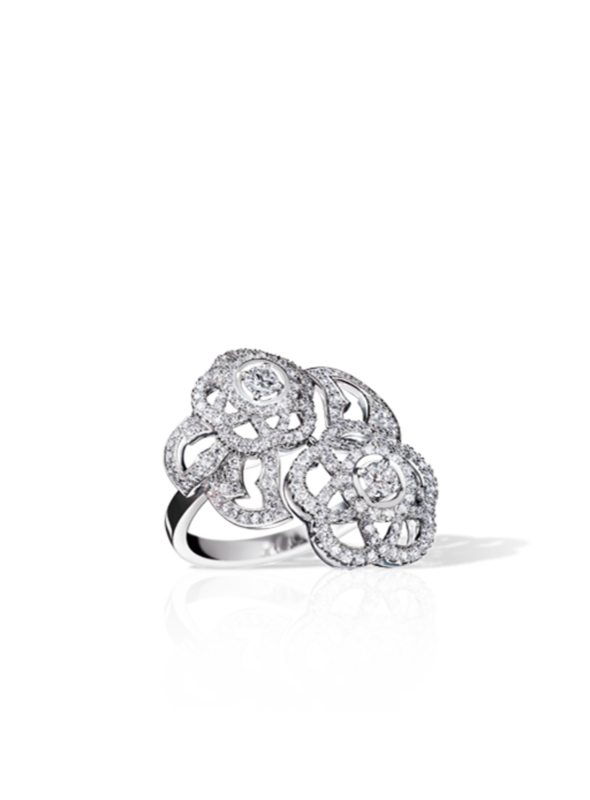 This Comete ring by Chanel shows the love and affection. It is a descendant of 1932 collection. It looks like a shooting star. 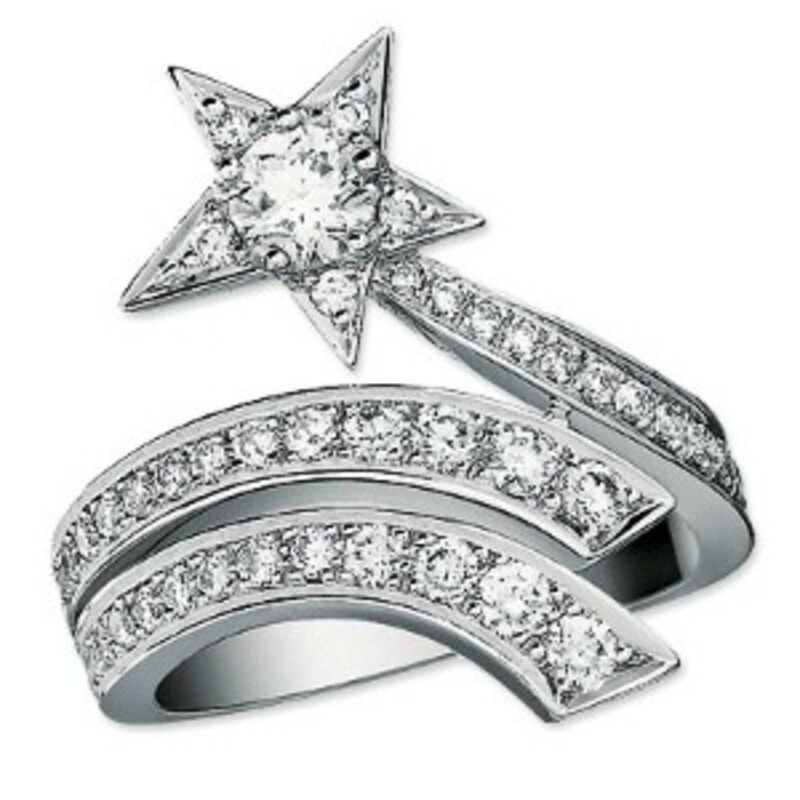 This ring features a big star with a big solitaire. Its expected price is around 9,300 USD. These days diamonds bands are high in demand. 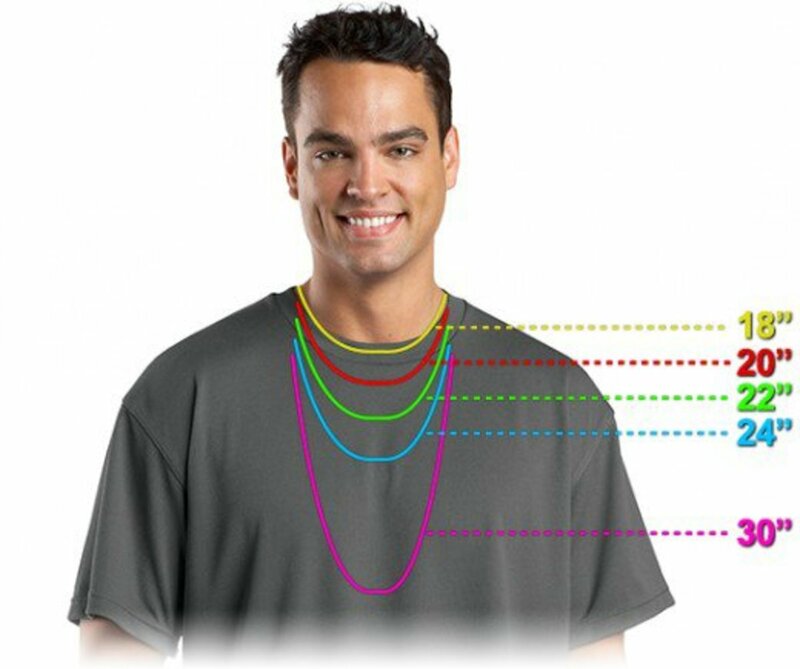 People just love to wear fine and decent demand bands. I really liked the variants Chanel introduced in their diamond bands. 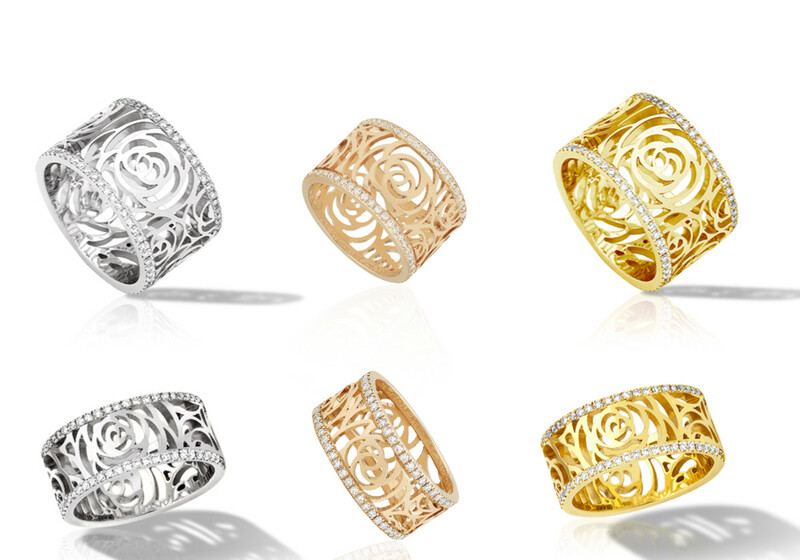 Whether we talk about pink gold, yellow gold or white gold; these bands are available in three color options. Also, there are two size variants. You can choose among medium and large variants. 1932 line of Chanel fine jewelry was introduced to celebrate their 80th anniversary. It has 80 pieces of fine jewelry featuring yellow, black, white diamonds, blue sapphires and cultured pearls. This ring looks really sleek and decent which is perfect for daily wear. 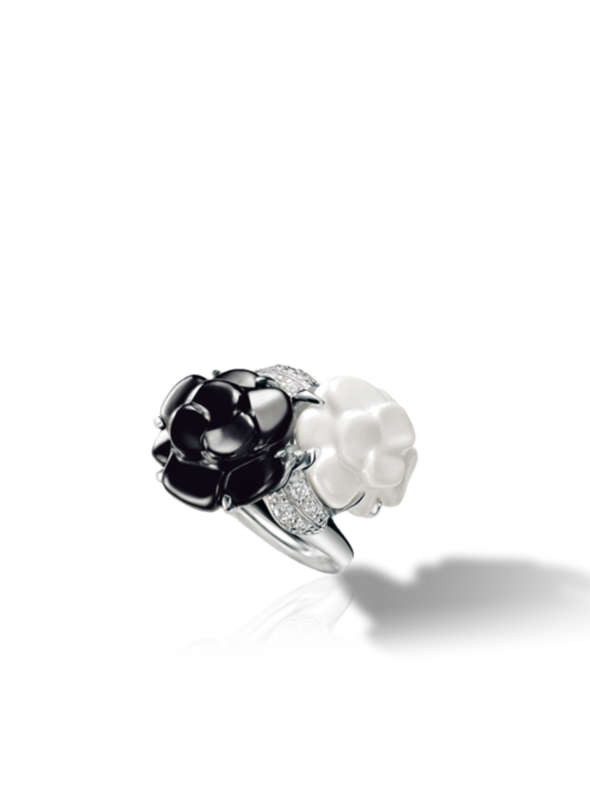 This camellia ring from Chanel features two roses of onyx and white agate. I would say it will mark a statement without saying anything. It looks very delicate and luxurious. Black and white roses are the main highlight of this camelia ring with two petals of diamonds. Again, a Chanel ring from 1932 series. It looks like a ribbon on your fingers. 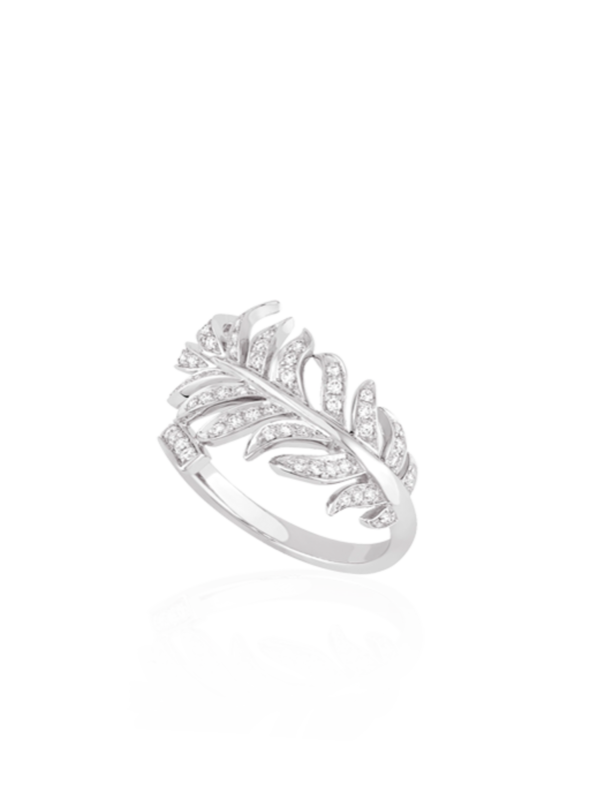 This ring is created with such an excellence that anyone will lose in its beauty. Another ribbon structured ring from the same 1932 series that forms a flower structure as well. It's amazing!! The outline given by black diamond is mind blowing. Frankly speaking, I just love the camelia series of Chanel. Every ring in this series takes my breath off. 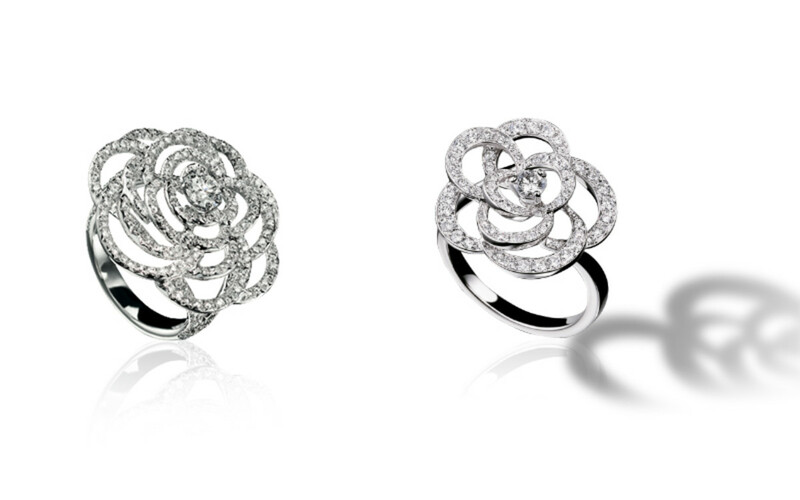 This camelia ring is crafted in 18K white gold and complemented by two big diamonds in the middle of each flower. This ring is another mesmerizing piece of jewelry. Which is your favorite channel series? Last but not the least. 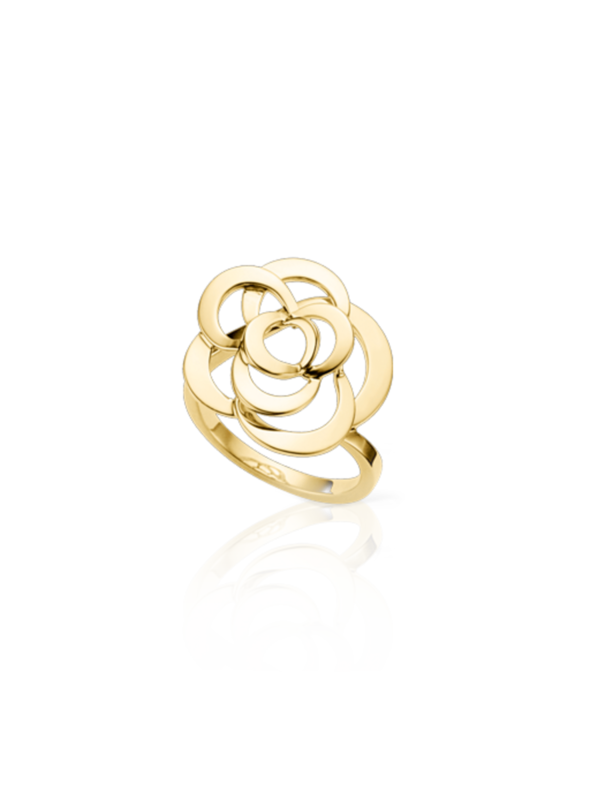 Have a look over this yellow gold flower ring from camelia series. 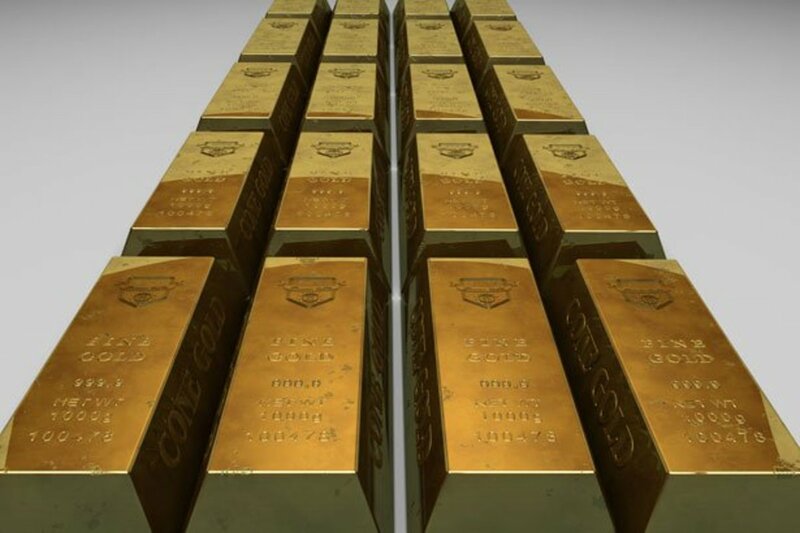 It is made up of only 18K yellow gold. 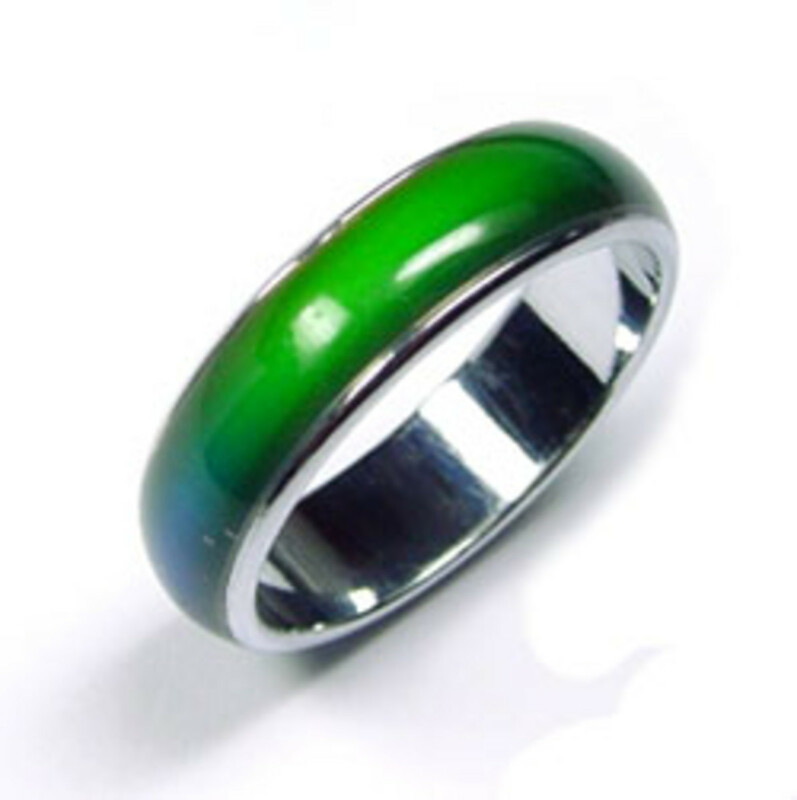 This ring has no variant; either we talk about color or size. It has its own uniqueness. If you are going to marry your love and looking for a stunning wedding ring for her, then you must be confused that what will be perfectly suitable for her. 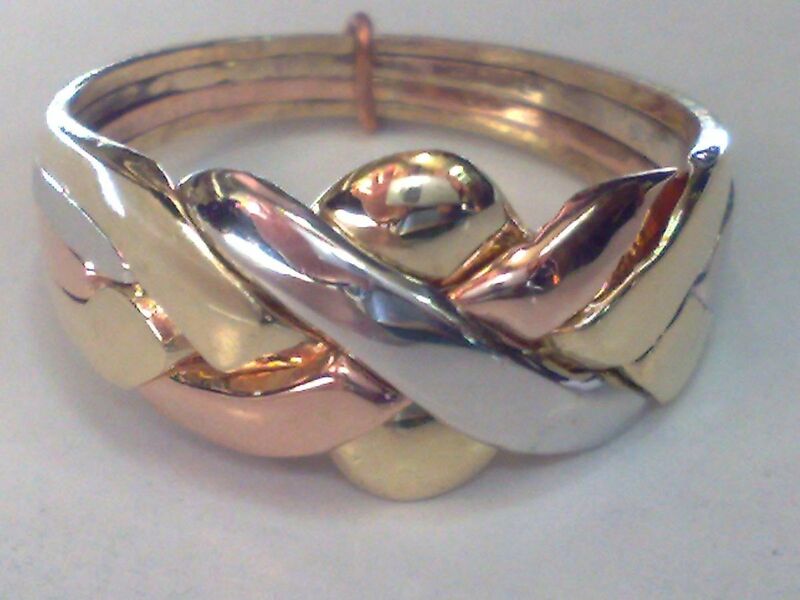 What Is Rose Gold, White Gold, And Green Gold Jewelry? Stunning! Do you have any idea of the price of the "1932 white gold, cultured pearl and diamond ring"
Those are very pretty rings. There was a ring design years ago that I really liked, but I never had the extra money for it. It was several thin bands put together with a mini round diamond on each band. I can't recall the name of the design, but that was really pretty too.